This recipe is simple, easy and delicious. 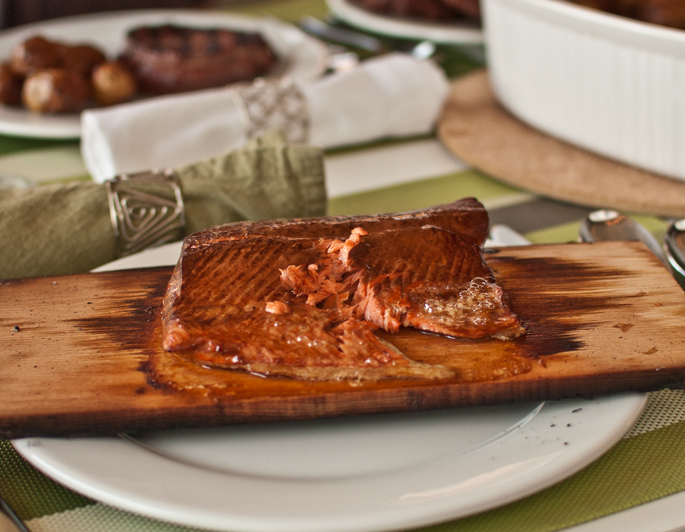 It’s a dream on planked salmon, but it also works well on chicken pieces for shish kebab. Everyone I know who has tasted this marinade has loved it. I convinced my brother in law, who absolutely hates fish, to try this marinaded planked salmon. He not only loved the taste, but is now going to start eating salmon.